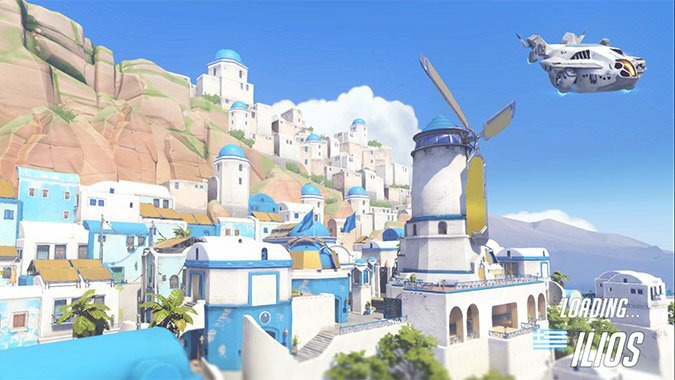 With Overwatch’s recent addition of gravity and the Lunar map, a player on the forums asked why there was no water environment or swimming in the game. Jeff Kaplan came in and gave a very in depth answer. Part of it has to do with the fact that water levels just aren’t very interesting. He cites a lack of fun in other shooter games the team has played, saying that the gameplay is “underwhelming or gimmicky” despite any sense of immersion from the scenery or artwork. He’s probably also remembering Vashj’ir in World of Warcraft during Cataclysm. Vashj’ir was an absolutely breathtaking and beautiful zone, but players became frustrated with combat swimming and figuring out enemies or objects on the entire x and y and z axes. Another obstacle is game’s animations and rigging. Overwatch keeps animations distinct for each character (rather than shared animations across characters) in order to add to the unique personality and feel of each hero. To add swimming animations, each character would require a lot of work to update the base animation as well as swimming animations for every single ability. All in all it presents a poor trade-off — very little benefit for a lot of work. The time spent adding swimming animations would take away from other creative areas like emotes and highlight intros. In addition, new heroes would take much longer to add to the game, since so much time would be needed for basic animations and abilities. As Kaplan points out, that would mean fewer heroes for the sake of adding in a mediocre gameplay ability. That’s not to say swimming is decidedly off the table. Blizzard never likes to say never, in case they manage to make it work in the future. While swimming looks cool and is fun in theory, the reality of it doesn’t add enough to the game to offset the work or time investment required. However, there’s always the future, and they aren’t opposed to adding swimming if it ever becomes feasible. Blizzard Watch is made possible by people like you. Please consider supporting our Patreon! Blizzard Watch is a safe space for all readers. By leaving comments on this site you agree to follow our commenting and community guidelines.